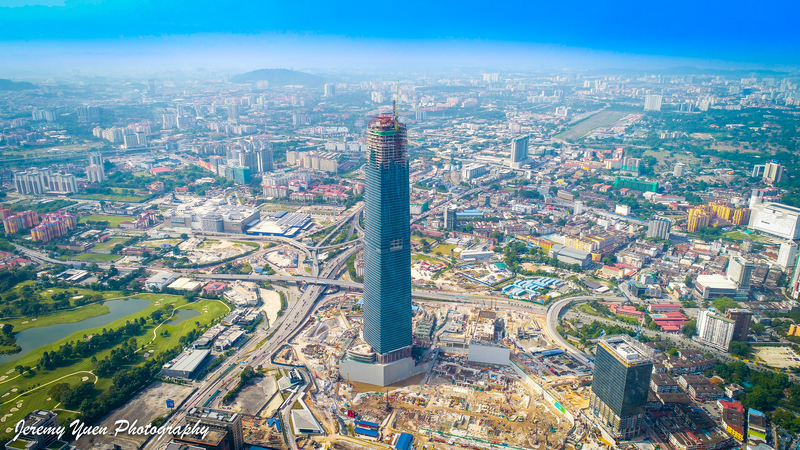 Description: The Exchange 106 (formerly TRX Signature Tower) is a skyscraper under construction within the Tun Razak Exchange (TRX) area, a new financial district currently being developed in Kuala Lumpur. The 106-floor building will be topped with a 48-meter, 12-storey high illuminated crown at its peak for a maximum height of 492 meters.When it is completed in the second quarter of 2018, it will be about 40 meters taller than the country's current tallest building, the Petronas Towers. The Exchange 106 tower will have a nett lettable area of 2.8 million square feet, of which 300,000 sq ft is for retail space occupying the first 5 floors of the building. As of January 2018, more than half of the Exchange 106’s floor space has been taken up by large tenants, predominantly local financial institutions, each taking up between 2 and 8 floors, which have column-less floor plates ranging from 28,000 to 34,000 sq ft. As the Exchange 106 is benchmarked against similar buildings in large international financial centers, such as London’s Canary Wharf and The Shard, New York’s Freedom Tower and Shanghai’s IFC, despite the Exchange 106's high asking rent of RM17 per square foot, up to 47% of the 2.8 million sq ft of the Exchange 106 has been formally signed, and 9% under negotiation as of January 2018, whilst construction is still in progress.